Undelete 360 recovers files unintentionally removed from your computer. It is made on fast and efficient algorithm that browse, search and recover files lost due to a different factors including accidental deleting, viruses, software or computer failures. It can recover files deleted from your Computer drives, USB drives, camera devices, memory cards and supports both file recovery and folder recovery. For files you really don't want on your computer, it also supports secure file deletion. NOTE: As this program went crippleware, we are linking to the last available freeware version (thanks jenss). How to extract: Download the installer and extract to a folder of your choice. Launch undelete-360.exe. The program from download is not portable, since it needs installation. @Temptation: please read jenss comment below yours. R-Undelete recovers files from external USB disks, digital photo and video camera memory cards and other devices with the FAT (FAT12, FAT16, FAT32 and exFAT) file system. In addition, it also uses the scan for known file types, which makes R-Undelete an ideal solution for the recovery of lost digital photos, movies and music. Note: the majority of Windows storage solutions use NTFS and ReFS, which can only be recovered with the pro version. How to extract: Download the installer and select "portable USB option" while installing. Launch r-undelete.exe. Seems that recovery from NTFS costs money and thus makes this application almost useless today. Why am I wasting my time with downloading this app realising that this app is useless from a freeware point of view. downloaded & I have ceased wasting my time. I don't know for a fact that this app has always been so restrictive because I came in late on finding this app. Perhaps if there's an earlier version for Vista that someone knows about, thats less restrictive, maybe you could share that with us. This software have a huge limitation as a freeware, and it is a wasting time to try it. Please, stop to promote this apps ! 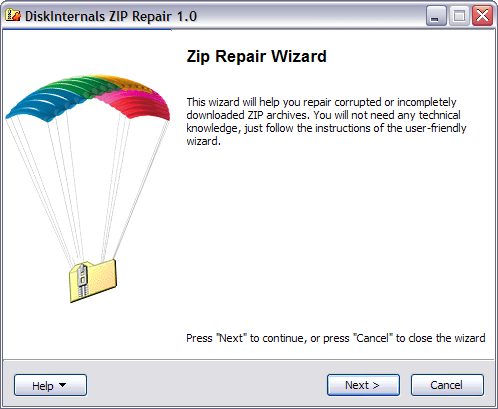 DiskInternals ZIP Repair rebuilds the Zip structure and then extracts the recovered contents of the archive. The application has a wizard-like interface. How to extract: Download the installer and extract ZipRepair.exe and fsm.ini to a folder of your choice. Launch ZipRepair.exe. Great piece of software. Tried fixing an archive in WinRAR but it failed. Tried this and it was able to rebuild the Zip file. Thanks for the post! You only need this program when something goes wrong and I got a chance to test it when an archived ZIP file went bad. The program worked great and did exactly what I needed. The program extracts the files from the archive that it can, then re-zipps them out to a new one (that isn't broken). Since I then extracted said archive, part of me wishes there was an option to just extract the good files and folders. 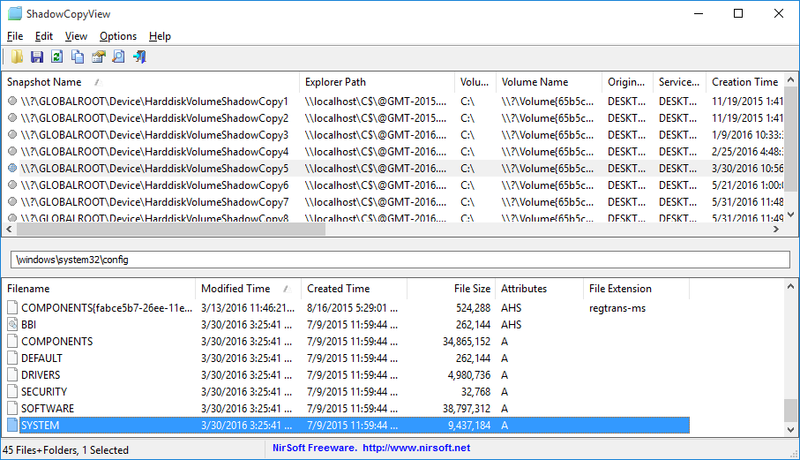 ShadowCopyView lists the snapshots of your hard drive created by the 'Volume Shadow Copy' service in Windows. Every snapshot contains an older versions of your files and folders from the date that the snapshot was created, you can browse the older version of your files and folders and optionally copy them into a folder on your disk. How to extract: Download the ZIP package and extract to a folder of your choice. Launch ShadowCopyView.exe. Added 'Entry Modified Time' column. 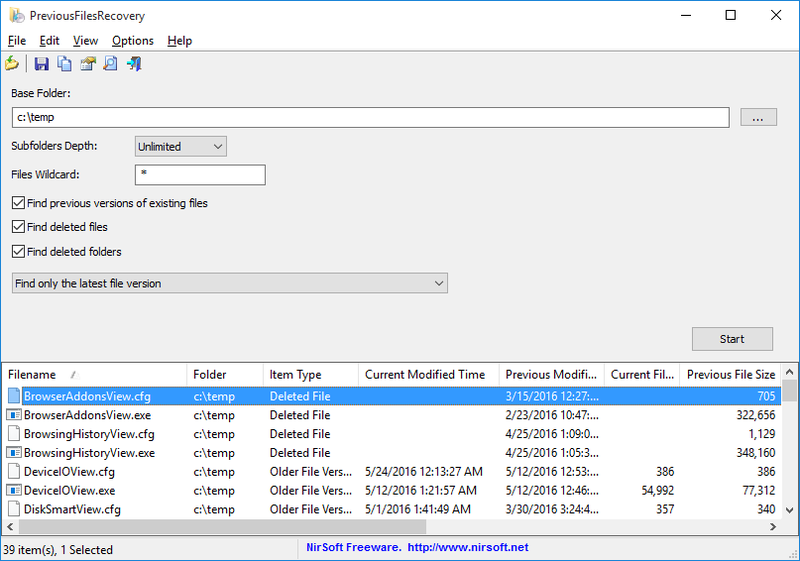 PreviousFilesRecovery allows you to scan the shadow copies of your local hard drive and find deleted files as well as older versions of existing files. If the file you need is found in the shadow copies of Windows, you can easily recover it by copying it into existing folder on your drive. How to extract: Download the ZIP package and extract to a folder of your choice. Launch PreviousFilesRecovery.exe.